What is Good: Turkey Sugar Cookies! The boys and I have so much fun baking together. Alex loves to measure the ingredients (with a lot of help from me of course), he's actually getting pretty good at reading a measuring cup! 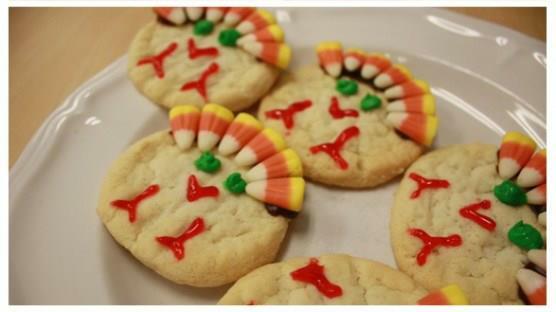 In preparation of Thanksgiving we made these adorable cookies!